Rahim Wahap, the boat operator and owner of a 20-foot boat named ‘Sumber Rezeki’ from Kampung Jepak Bintulu. A passenger boarding ‘Sumber Rezeki’ owned by Rahim Wahap of Kampung Jepak Bintulu. 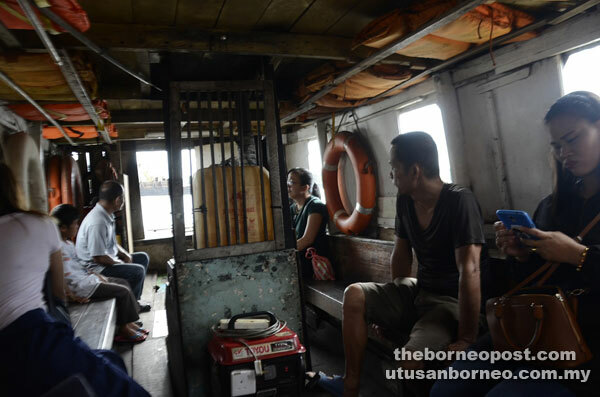 Passengers sitting inside ‘Sumber Rezeki’ as it crosses the Kemena River in Bintulu. 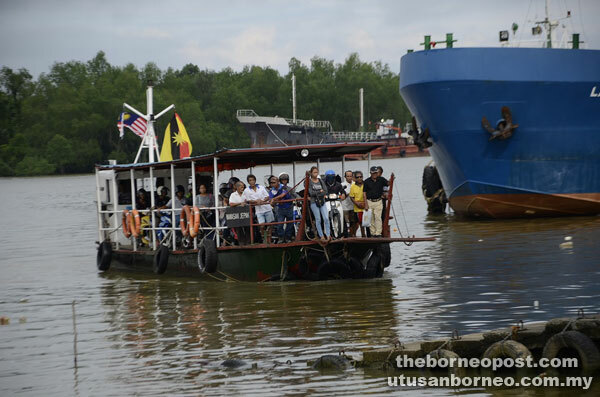 ‘Sumber Rezeki’ cruises along Kemena River in Bintulu. 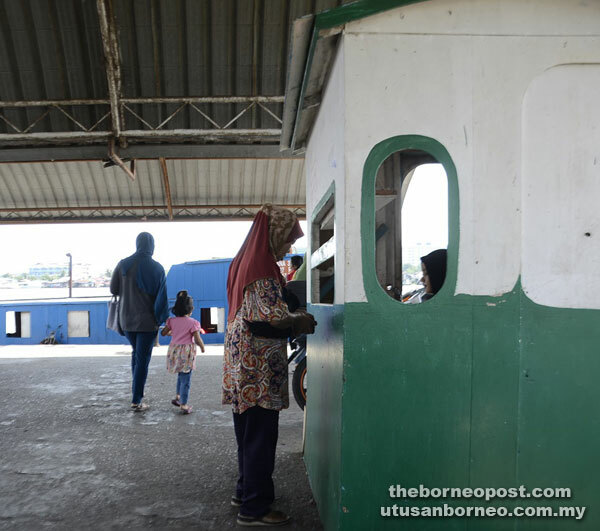 A passenger buying her ticket before boarding a boat to Bintulu from Kampung Jepak Terminal. A boat from Kampung Jepak ferrying passengers and their motorcycles across the Kemena River to Bintulu. 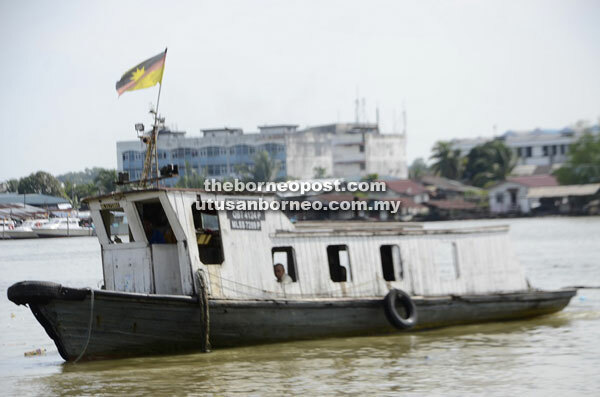 BINTULU: Rahim Wahap of Kampung Jepak is one of the many boat owners ferrying passengers from his village daily across the Kemena River to Bintulu Town. He said he had been providing the service for the past 36 years after he bought his own boat for RM15,000 in 1981. “Even though it has been 36 years, I still enjoy every moment of this job. It is already in my blood for so long. Before this, I was a sailor on a local merchant ship for a few years until I stopped in the late 1970s,” he told BAT7 yesterday. “I love being a sailor and I just love the sea especially when the sun rises at dawn and sets at dusk and I guess that’s how the idea of having a boat came about,” he added. 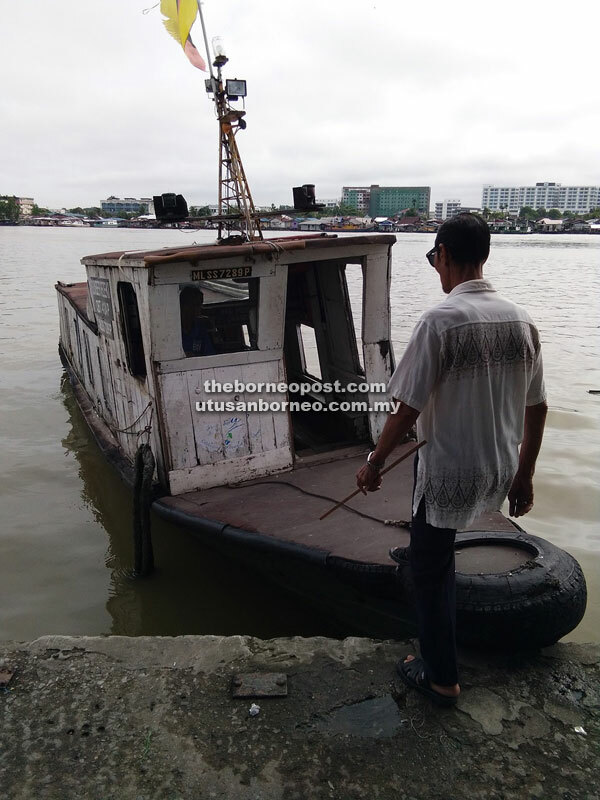 The 68-year-old revealed that he is registered with the Kampung Jepak Boat Association and works on a six-hour shift daily as set by the association. “It can be in the morning or in the afternoon,” he said. On his boat, he said it is only allowed to ferry 25 passengers at a time and to ensure passengers safety, he provides life jackets. 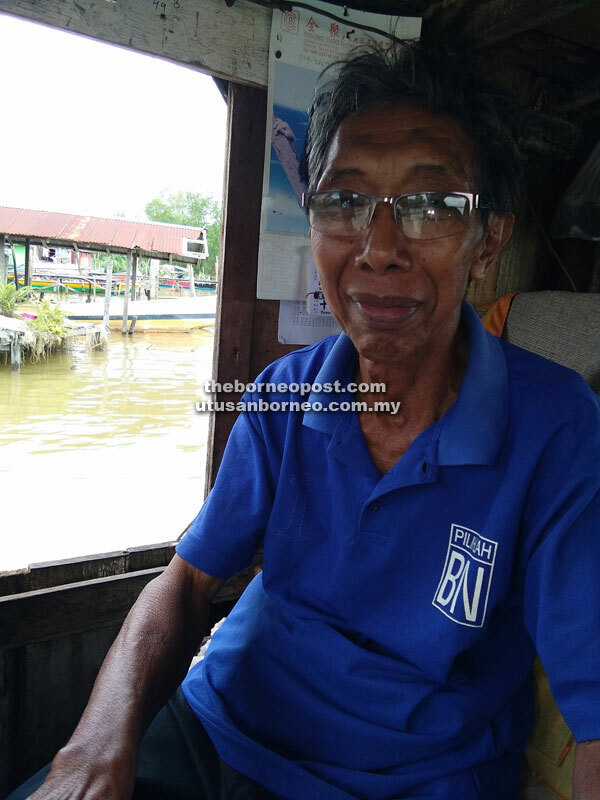 He disclosed that even though there is a road from Kampung Jepak to Bintulu Town, the villagers still prefer to use the boats as it takes only five minutes to cross the river instead of half-an-hour by road. He said he is paid RM50 daily by the boat association for his services. “With the association, my income is guaranteed even though I buy my own petrol and maintain the 22-horsepower boat myself,” he added. He added that a trip costs 50 sen and he does not ferry motorcycles as this service is provided by other boat operators. “Boats that ferry motorcycles and their riders are designed with open space to accommodate the motorcycles and passengers. These passengers need to pay RM1 or RM1.50 if there is a pillion rider one way at the terminal ticket counter,” he said. Rahim said he would continue to ferry passengers as long as his services are needed and his body allows. “At my age, I don’t like to complain. I just need a source of living and I love my job and my boat. Remember, I am foremost a sailor,” he said with a smile as we landed at the passenger terminal.